Man that is one ugly looking miner. Well using average US electrical rates, even at $0.10/kwh it would take over 200 days, assuming BTC goes back to $500 by then to get ROI, and that is assuming the network hash-rate doesn’t increase. Be better off just buying BTC at $200 and if/when it would go to $300-$500 sell and be way ahead of these little boys. If BTC prices stay under $300 for long, no way these are even remotely profitable unless you have free or close to free electricity. Alas, home mining is all but over unless you are doing it for just the novelty of it. Home mining works, but with Bitman S5, it is cold in the UK for about 8 months each year and you can certainly heat some double rooms on 590watts. Therefore, it work outs that you only pay for 4 months of electricity each year. Still, even at today BTC price, you’d expect to get ROI on your investment in 1 year (when you include the extra costs of a PSU, Raspberry PI and postage). Therefore, buying $700 dollars of BTC today and waiting for the block halving in autumn 2016 seems the most relax way to make a profit compared to the tribulations of mining equipment. 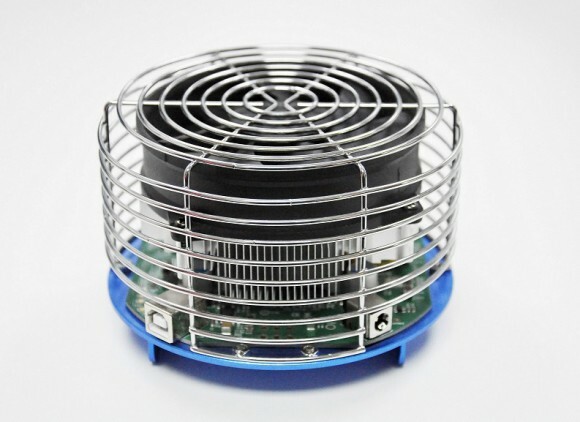 Seems like the U3 miners I see have a different “case” instead of that cage – i really like the cage design. Is the cage housed within the plain metal looking “case” for the miner ? I would buy one of these just to look at – the ones being sold on amazon, not so much. Hello. Lord please tell me how to register .bat file under this miner?